Tim, just wanted you to know that we had a great time on the fishing trip. Thought you did everything in your power to make it special, and it was!! And, the stay at Majestic View was wonderful and the view was truly majestic. Both Kris and I have stayed at many B&B’s in our last 33 years together and the breakfast that Marie presented was the best ever!! If any of our friends are headed up to Homer, we will certainly be recommending they stay with yall and go fishing with you. 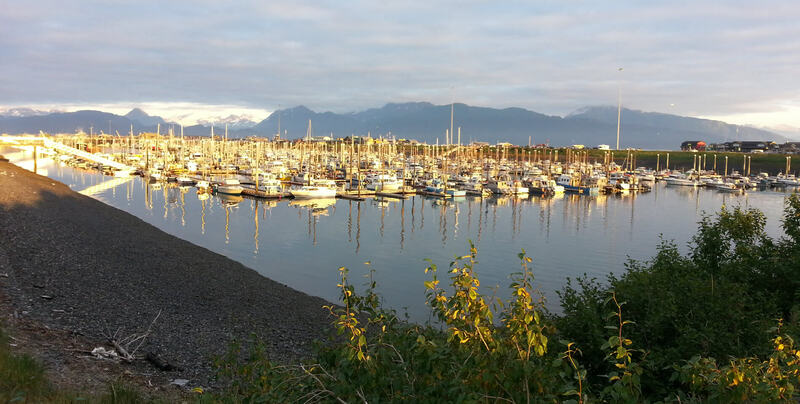 By the way, we hare having our first fish cookout Sunday, would you mind sharing your favorite sockeye recipe? I’d love to try it. Again, thanks for the wonderful memory. 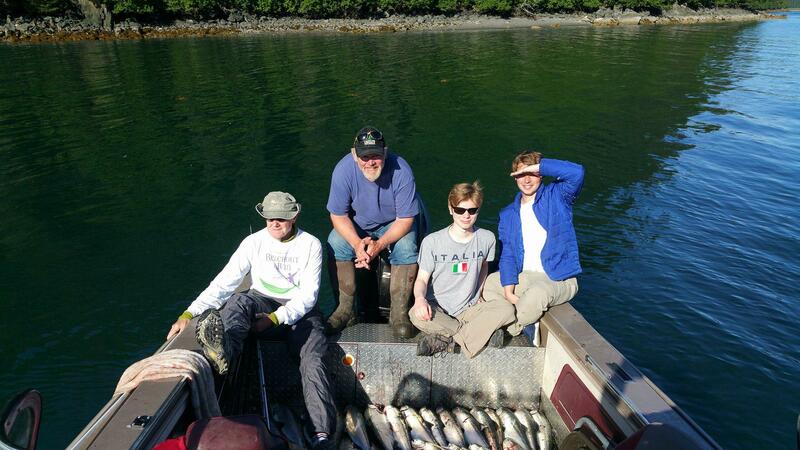 I pose after some successful early morning salmon fishing with Roger and his two grandsons – Noah and Daniel. Kris was also present taking the photo. There are many more salmon on the floor not shown in the photo! Everyone caught fish and had a great time. Getting up at 4am proved to be well worth it!